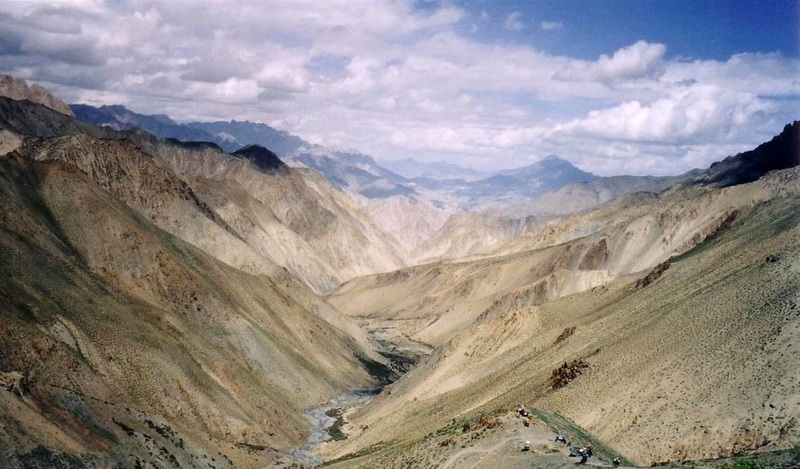 This trek follows the hidden valleys of Ladakh beyond confines of Indus Valley. From the passes we get to savor fine views of the East Karaokaram, Ladakh Range and the rugged ridges, rock spires and snow capped peaks that define the true dimensions of the Zanskar Range. This is an outstanding trek and an ideal introduction to the visually stunning and culturally rich region of Ladakh, high in the Indian Himalaya. We explore this rugged land characterized by exquisite Buddhist monasteries and ancient forts where the snow leopard seeks out the highest ridges at the margins of the season. Finally we journey to the vast lakes of Rupshu and camp in spectacular terrain on the borderlands of Tibet. This trek visits the hidden valleys of Ladakh region crossing the high ridges of Zanskar range to Buddhists villages and gompas beyond the Indus valley. It takes 3-4 hours from Leh to Lamayuru, one of the oldest sites in Ladakh. Enroute we will visit the famous Pathar Saheb Gurudwara, Magnetic Hill, Confluence point and beautiful villages of Ladakh. According to the legend that there was once a vast lake which filled the upper reaches of the valley and Sage Naropa miraculously breached this, thus the site of the breach was revered and became the location of the gompa which was built in 10th century. In recent years Lamayuru as well as a number of other gompas in Ladakh have changed their annual masked dance festival to the summer for convenience of tourists, which was earlier held in long winters. We stay here tonight and enjoy the beautiful scenes as well as the tour of the monastery. After attending the early Morning Prayers in the monastery and taking blessings of the local gods for our journey, we follow the trail leading down the valley upto a small gorge from where ascend to Prinkiti La begins. 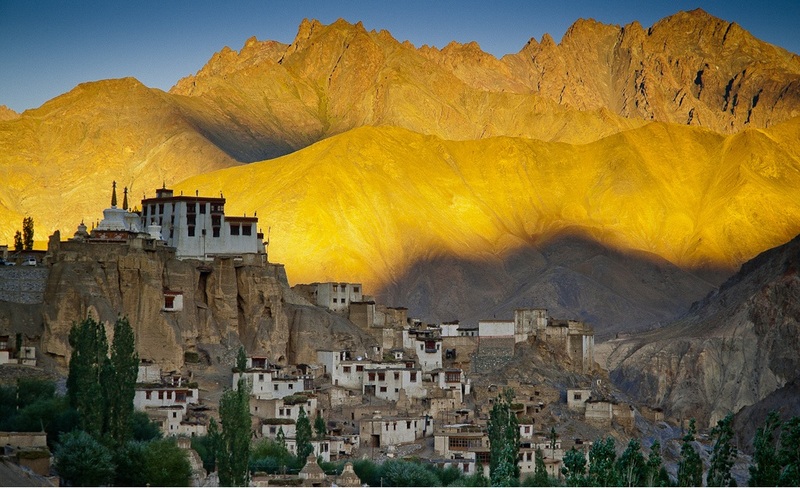 Prinkit La offers us views across the barren landscapes of the Zanskar Range. From the pass trail enters a narrow gorge down to the Shikalong Valley. From here Wanlah Monastery is just a kilometer walk as it offers a commanding view of the Shikalong Valley. We camp here tonight. From here there is 1.5 hours trail on a dusty road towards Phanjila Village which is also the entrance of the Hunju Valley. It boasts of a school and apricot orchards. The fields extend vastly upto a few kilometers towards Hinju. Around 3 hours walk from here after crossing some bridges, settlement and main Hinju Village (3800 meters) we reach our camp site. It’s a beautiful meadow located near the rain fed streams joining into the Zanskar river. We camp here tonight. From our camp there is a steady climb up towards settlements of upper Hinju, as we pass we will also come across some goat enclosures. The trail then gradually winds down to the base of the pass. From here there is a climb up across a series of switchbacks (sharp ascents and descents) which leads to the pass. If there is no snow we can comfortably reach up to the top of pass in 3-4 hours. Here we can rest and enjoy fine views of Hinju and beyond the ridges of the East Zanskar Range. The other side of the pass is over loose scree and moraine towards the left of valley after crossing some ridges until we reach our camp site. We rest here tonight. From camp we cross the river and follow the trail on the right. The trail ascends onto a side ridge and then descends towards the valley before the river crossing towards the fields of Village Sumdo Chinmu (3900 meters). There is a monastery near the village and some statues of Maitreya (Coming Buddha). The rock carvings provide a fascinating look overlooking base of Dung Dung La of high peaks and ridges that enclose this hidden valley. After moving on and reaching the floor of another valley we meet a thick canopy of willow trees and wild rose bushes. One more river crossing before reaching a side stream which is flowing from Photaksar (5700 meters) and nearby peaks. After a short and steep ascent to a ridge we meet wild flowers enroute a delightful meadow at 4400 meters. This is also shared by Yak Herders and serve as the base of Dung Dung La. We camp here tonight. we will enjoy magnificient views of the Stok and Ladakh Ranges and the rugged ridges and peaks that tower above Zanskar River as it forges into a confluence of River Indus. After rest and pictures, we start our descent towards Chilling, which is 1300 meters below the pass. After a 2 kilometer ascent in contours begins our descent as the trail falls steeply down towards a narrow gorge until we reach the outlying fields of Chilling set on a fertile ridge above Zanskar. We camp above the village. Next day according to our plans we can either move towards Nimmu which is a fantastic rafting site for white water rafting over Zanskar River and then head towards Kargil or turn back to Leh. Please inquire and fill the form below to book.